My latest venture is a novel called New Clone City, published by The Wild Word in May 2018. You can find out more about that on The Wild Word’s website. I’m also very happy to say that the book was recently included in Exberliner Magazine’s list of Hot Summer Reads. 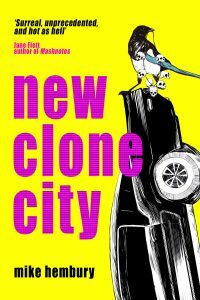 Here’s an audio excerpt from New Clone City. This chapter is about a refugee camp and is called “Fuji City”.